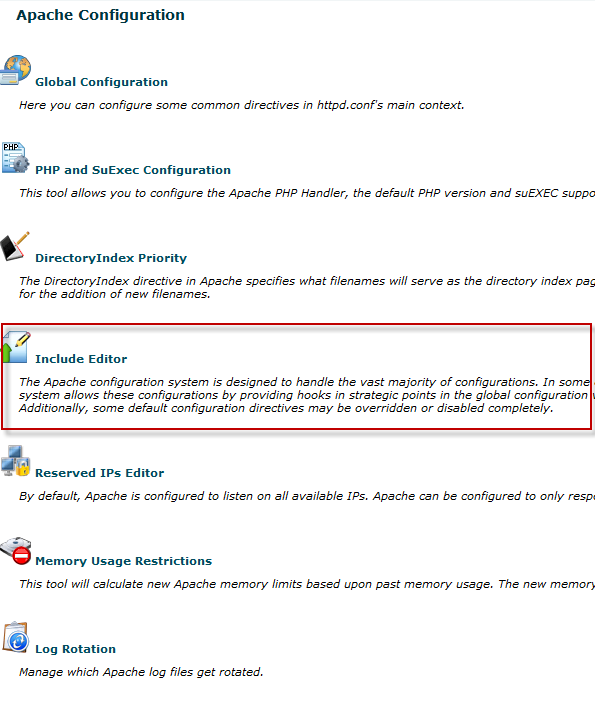 WHM , cPanel is one of the most widely used server control panels. If you are using WHM and you want to move your .htaccess rules to httpd.conf and if you have no knowledge about SSH usage you can use the following guide. 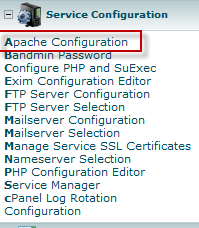 Look for [B]Service Configuration menu and browse for [B]Apache Configuration under Service Configuration menu. When you click on Include Editor , you'll be given 3 different choices. The include we need to use in here is [B]Pre Virtual Host Include . 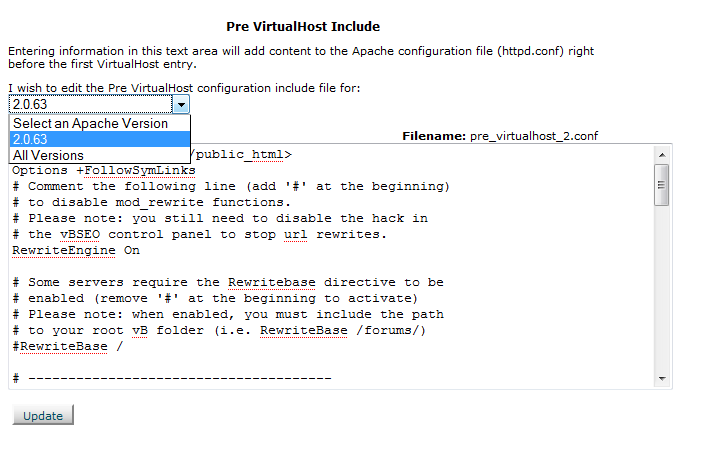 Please choose your apache version within Pre Virtual Host Include dropdown menu and add your .htaccess rules within the editor. You can add different rewrite rules for different folders. When you are done adding rewrite rules click on Update button and then restart apache.